In 1998 company decided to go for their own product to market. 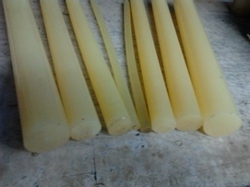 Initially company started soft package mandrel set, spares for TFO m/cs, Texturizers m/cs, dyeing plants, conning, rewinding and many more, for yarn processing . 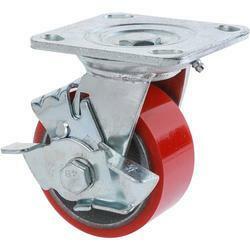 In new millennium, 2001 company design & develop PU Castor wheel for trolley & machineries. 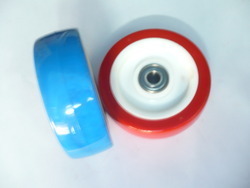 In next one year we have develop complete range of PU, PP Nylon wheel from 50mm to 200 mm. 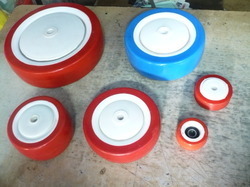 2010 is year we started CAST POLYURETHANE product e.g. 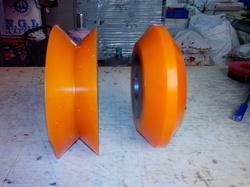 Rods, Sheets, ‘O’ Ring Load Rollers Heavy Duty Wheel. In 2012 company started production of various size & type of plastic core for paper industries, foil, hologram, insulation tape & much more. 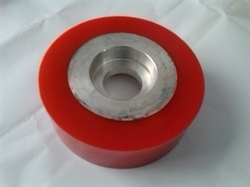 At present company has more than 150 products suitable for various industries. Till development journey is going…..
We design, develop & manufacture Variety of industrial product to serve almost any type of industry. 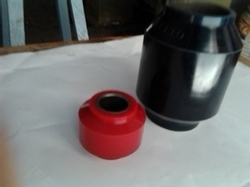 We manufacture injection moulded engineering products. 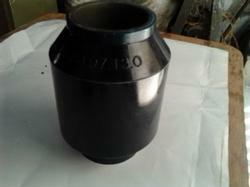 We design, develop, and manufacture industrial product as per customer’s requirement. We also develop product with alternate material for better performance with economical point of view.